OK so the picture quality isn't the best, but thats what you get with a camera phone. 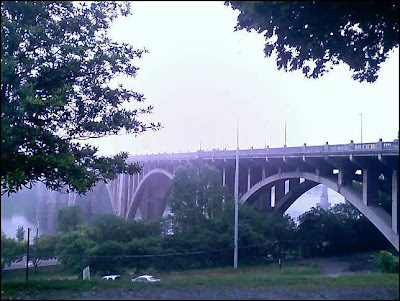 I took this right outside of my building overlooking the bridge during the foggy morning yesterday. Thought it was cool. Notice how there are no tops to some of the light poles and fortunately, Baptist was blocked as well.